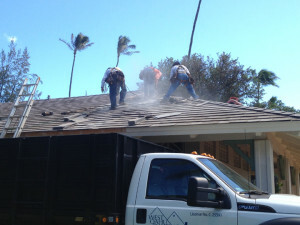 Hardie Shake Repair | West Oahu Roofing Inc. 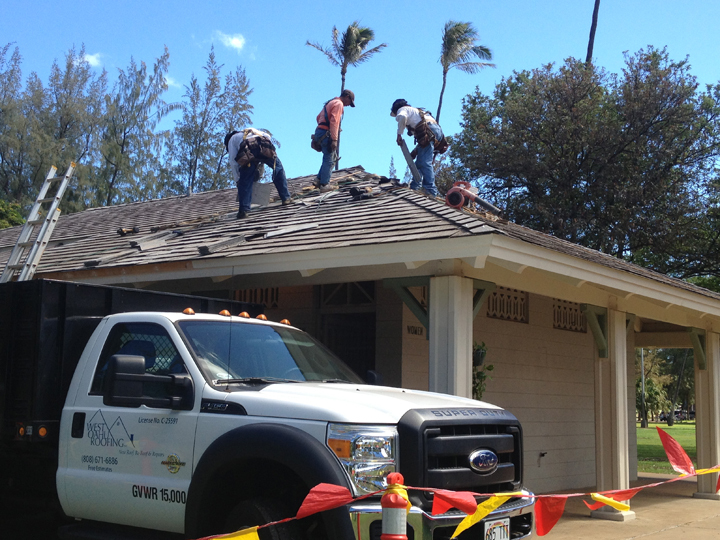 The Waikiki Restroom has an existing roofing material which is no longer produced. 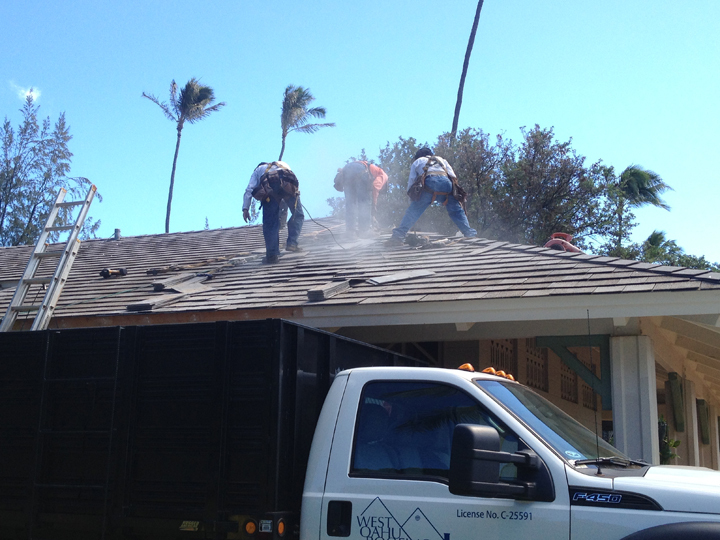 West Oahu Roofing, Inc. had matching materials on hand to refurbish the existing roof that needed repairs to match the existing.